Renaissance, french for ‘ rebirth’, is described as the era following the middle ages which existed from the latter part of fourteenth century to the beginning of the sixteenth century. This era was characterized by the revival of classical learning and the values of ancient Greece and Rome. It witnessed the discovery of new continents, the invention of the printing press, decline of the feudal system and growth of commerce, mariner’s compass and gunpowder. Though the spirit of Renaissance took many forms, it was expressed earliest by the intellectual movement called Humanism. It is said to have emerged first in Florence, Italy. The fall of Constantinople in 1453 provided humanism with a major boost, for many eastern scholars fled to Italy, bringing with them important manuscripts and books depicting the tradition of Greek scholarship. Art, philosophy, literature and science helped in the spread of renaissance to northern parts of Europe and eventually to the whole of Europe. The Medici family of Florence were responsible for the artistic accomplishments that took place and Florence became the focus of Italian Renaissance in art, music and literature. great scholars emerged during this period such as Leonardo da Vinci, Giovanni Boccaccio,Michelangelo, Donatello, Galileo, Petrarch, Vasco da Gama and Christopher Columbus, to name a few. This period focused on glorification of humanity and overpowered the prestige and authority of the Papacy. It also set a new strategy in the pursuit of human knowledge and values involving the emergence of science. Renaissance was the movement deep within Europe’s heart. The artistic temperament and amalgamations of classic ideas into art was truly fascinating. Magellan sailed the entire globe to give rise to a new world of exploration. Renaissance still remains a major milestone in human history. The courts and monasteries of Europe had long been repositories of old manuscripts and texts, but a change in how scholars viewed them stimulated the massive reappraisal of classical works in the Renaissance. Fourteenth century writer Petrarch typified this – he may even have triggered it – by writing about his own lust for discovering texts which had previously been ignored and were just gathering dust. Secular readers developed a taste, even a hunger, for seeking out, reading and spreading old works, chief of all classical writings, on a more widespread level than centuries previous. New libraries developed to facilitate access to old books. Ideas once forgotten were now reawakened, and their authors with them. While there were classical texts in western Europe at the start of the Renaissance, many had been lost and existed only in the east, in both Christian Constantinople and Islam states. During the Renaissance many key texts were reintroduced into Europe, whether by merchants taking advantage of the new hunger for old texts, or by scholars who had been invited over to teach. For instance, in 1396 a Chair for teaching Greek was created in Florence. The chosen teacher, Chrysoloras, brought with him a copy of Ptolemy’s Geography from the east. In addition, a huge number of Greek texts and scholars arrived in Europe with the fall of Constantinople in 1453. A hunger for forgotten texts may have developed in Europe, but it was the new printing press that allowed these works to be mass produced, feeding a much wider audience than the old hand written methods could ever have hoped to reach. This in turn allowed the Renaissance to develop more fully. In addition, the press removed scribal errors, allowing humanists and scholars to know they were comparing the nuances of the same text, and not someone’s mistake. This allowed for the further evolution of textual criticism which underpinned Renaissance thinking. In many ways, the printing press was the key development of the intellectual and literary aspects of the Renaissance. The Renaissance changes in the style of art, as well as the outlook of artists, needed wealthy patrons to support it, and Renaissance Italy was especially fertile ground. Political changes in the ruling class of Italy shortly before this period had led to the rulers of most of the major city states being “new men” without much of a political history. They attempted to legitimize themselves with conspicuous display, with ostentation, including all forms of art and creativity. This meant that artists keen to use their new found Renaissance ideas were ably supported and able to produce masterpieces. As the Renaissance spread, the Church and other European rulers would use their wealth to adopt the new styles to keep pace. The demand from new (and old) elites wasn’t just artistic, they also relied upon ideas developed from the Renaissance for their political models. Machiavelli’s infamous guide to rulers – The Prince – is a work of Renaissance political theory. In addition, the newly developing bureaucracies of Italy, and the rest of Europe, caused a demand for Humanists, because their education was both theoretical and, crucially, practical, equipping them to run the new governments and monarchies, funding their development. Money paid for the Renaissance, but just as important was the desire of people to spend it in such a way. The human desire to show off has rarely produced better results. In the middle of the fourteenth century the Black Death swept across Europe, killing perhaps a third of the population. While devastating, some of the survivors found themselves better off financially and socially, with the same wealth spread among fewer people, and better potential for climbing the social ladder. This was especially true in Italy, where social mobility was much greater. While some areas saw struggles between the more competitively positioned workers and their bosses, this ‘new’ wealth was often was spent on display items to reinforce prestige, much like the rulers above them. This also allowed people to patronize Renaissance artists. In addition, the merchant classes of a region like Italy also saw a great increase in their wealth from their role in trade, from the same trade routes which spread the Black Death so quickly. This trade income was further developed, some might say revolutionized, by Renaissance developments in commerce, giving the merchants further wealth to patronize with. Renaissance Humanism was a new manner of thinking and approaching the world, based around a new form of curriculum for those learning. It has been called the earliest expression of the Renaissance, and is described as both a product of the movement and a cause. Humanist thinkers challenged the mindset of both the previously dominant school of scholarly thought, Scholasticism, as well as the church, allowing the new mindsets which underpinned the Renaissance to develop instead. Perhaps unusually, periods of both peace and war have been credited with allowing the Renaissance to spread and become a European, then global, phenomenon. For instance, the end of the Hundred Years War between England and factions in France has been credited with allowing Renaissance ideas to penetrate these nations, as thoughts and expenses turned away from conflict. In contrast, the involvement of France in wars within Italy has been credited with aiding the spread of the Renaissance to that nation, as armies and commanders encountered Renaissance ideas in Italy and brought them back home. There is no clear cut answer, and as strange as it sound both things might be right at once. The Protestant movement was a an uprising in the religion of Christianity in the 16th century which had implications not only in terms of the culture, political, intellectual and cultural spheres but rather gave a different meaning to religion of Christianity. The movement consisted of questioning of the the papal authority and practices followed by the Catholic Church, prominently by reformers like Martin Luther, John Calvin and Henry VIII. They supported the reinforcement of the bible and the religious pamphlets, installing the political and religious power in the hands of the ones who followed the text. The disruption triggered wars, persecutions and the so-called Counter-Reformation, the Catholic Church’s delayed but forceful response to the Protestants. Historians usually date the start of the Protestant Reformation to the 1517 publication of Martin Luther’s “95 Theses”. Its ending can be placed anywhere from the 1555 Peace of Augsburg, which allowed for the coexistence of Catholicism and Lutheranism in Germany, to the 1648 Treaty of Westphalia, which ended the Thirty Years’ War. The key ideas of the Reformation were a call to purify the church and a belief that the Bible, not tradition, should be the sole source of spiritual authority. A series of reforms took place prior to the movement against the abuse committed by the pope, clergy, monks and nuns. The public, for example, abhorred Pope Innocent VIII (1484–92), who performed marriage ceremonies for his own illegitimate children in the Vatican and Pope Alexander VI (1492–1503), bribed his way to the throne of St. Peter and had fathered eight children by three women by the time he became pope. The public was also increasingly aware of and angered by extravagant papal projects—patronage of art and architecture, wars of conquest—for which funds were exacted from the faithful. The power of papacy was challenged by the growing spirit of nationalism as the new monarchs asserted the control and power over their states. Further the institution was scrutinized through reason and questioning. In Italy Lorenzo Valla (1407–57) used philology and historical inquiry to expose a number of forgeries, including the Donation of Constantine, which purportedly granted control over the Western Roman Empire to the pope. In Germany, Johannes Reuchlin (1455–1522) studied Greek and Hebrew, the biblical languages, and was involved in an international controversy that pitted intellectual freedom against ecclesiastical authority. Desiderius Erasmus (1466/69–1536), the most famous and important of the Northern or Christian humanists, used his vast learning and his satiric pen to question the practices of the church. Because of his philosophy of Christ, which stressed a focus on the Bible and rejected much medieval superstition, Erasmus, a lifelong Catholic, was accused of laying the egg that hatched Luther. Unlike the previous reformers Luther was against the basic doctrine of the church which believed in the redemption of sins through confession and absolution in the sacrament of penance. While Luther believed that the whole man was sick. The church, however, held that the individual was not so sick, that salvation could not be earned through faith and good works. He believed that the faith in the god was the only gift which humanity could accept in face of the sins they had committed. Thus he created the “Disputation on the Power and Efficacy of Indulgences,” also known as “The 95 Theses,” a list of questions and propositions for debate. Though there exists a popular belief that he nailed the document to the doors of the church, in reality, it is most likely that he simply hung the document in order to announce the academic debate revolves no around the issue of Christianity. The document though was set in a humble and questioning tone, it was provocative in nature. In the theses he presented three main points-the first concerned financial abuses; the second focused attention on doctrinal abuses; the third attacked religious abuses. He also ridiculed the popular superstitions associated with the cult of the saints and their relics, religious pilgrimages, and the like. Luther found support in many parts of the continent. Already there was a widespread liberal Catholic evangelical reform that sought to correct moral abuses such as clerical concubinage, financial extortion, and pluralism. This movement had representatives throughout Europe, notably John Colet in England, Jacques Lefèvre in France, Francisco Jiménez de Cisneros in Spain, Juan de Valdés in Naples, and, above all, Erasmus. Although he would come to oppose Luther, in 1519 Erasmus wrote to the elector Frederick III the Wise, Luther’s prince, telling him that as a Christian ruler he was obligated to see to it that his subject should have a fair hearing. The Catholic Church of the Counter-Reformation era grew more spiritual, more literate and more educated. New religious orders, notably the Jesuits, combined rigorous spirituality with a globally minded intellectualism, while mystics such as Teresa of Avila injected new passion into the older orders. Inquisitions, both in Spain and in Rome, were reorganised to fight the threat of Protestant heresy. Humanism can be described as a system of education and mode of inquiry that developed in northern Italy during the 13th and 14th centuries and later spread through continental Europe and England. The term was first used by 19th-century German scholars to designate the Renaissance emphasis on Classical studies in education, though its origin can be traced back to 1st century B.C, derived from the Roman statesman Cicero’s concept of humanitas, an educational and political ideal that was the intellectual basis of the entire movement. Humanitas meant the development of human virtue, in all its forms, to its fullest extent. The term thus implied not only such qualities as are associated with the modern word humanity—understanding, benevolence, compassion, mercy—but also such more aggressive characteristics as fortitude, judgment, prudence, eloquence, and even love of honor. The possessor of humanitas was of necessity a participant in active life. Humanitas called for a fine balance of action and contemplation, a balance born not of compromise but of complementarity. The purview of Renaissance humanism included not only the education of the young but also the guidance of adults (including rulers) via philosophical poetry and strategic rhetoric. It included not only realistic social criticism but also utopian hypotheses, not only painstaking reassessments of history but also bold reshaping of the future. In short, humanism called for the comprehensive reform of culture, the transfiguration of what humanists termed the passive and ignorant society of the “dark” ages into a new order that would reflect and encourage the grandest human potentialities. The movement developed from the rediscovery by European scholars of many Greek and Roman texts. Its focus was on human dignity and potential and the place of mankind in nature; it valued reason and the evidence of the senses in understanding truth. The humanist emphasis upon art and the senses marked a great change from the contemplation on the biblical values of humility, introspection, and meekness that had dominated European thought in the previous centuries. Beauty was held to represent a deep inner virtue and value, and an essential element in the path towards God. Beauty, sin, redemption, the sacred and the profane are all represented and celebrated by Renaissance art. Everything from poetry and drama to early Christian writings served as inspiration for the emerging batch of artists of the day. The wealth of the Medici Bank in Florence also contributed to a strong appreciation for the arts. Art suddenly became a commodity instead of something that was commissioned only by the church. The overreaching theme that most people take away from the Renaissance is a desire among artists to express mankind’s placement in regards to nature, the cosmos and God. During this so-called “proto-Renaissance” period (1280-1400), Italian scholars and artists saw themselves as reawakening to the ideals and achievements of classical Roman culture. Writers such as Petrarch (1304-1374) and Giovanni Boccaccio (1313-1375) looked back to ancient Greece and Rome and sought to revive the languages, values and intellectual traditions of those cultures after the long period of stagnation that had followed the fall of the Roman Empire in the sixth century. Improvements in the quality of oil paint meant that paintings could really express movement on the canvas. Dutch painters like Jan van Eyck, Hans Memling, Rogier van der Weyden, Robert Campin and Hugo van der Goes made early innovations that helped to usher in what would become one of the most colorful and splendid eras of art in history. Three great masters–Leonardo da Vinci, Michelangelo and Raphael–dominated the period known as the High Renaissance, which lasted roughly from the early 1490s until the sack of Rome by the troops of the Holy Roman Emperor Charles V of Spain in 1527. Leonardo (1452-1519) was the ultimate “Renaissance man” for the breadth of his intellect, interest and talent and his expression of humanist and classical values. Leonardo’s best-known works, including the “Mona Lisa” (1503-05), “The Virgin of the Rocks” (1485) and the fresco “The Last Supper” (1495-98), showcase his unparalleled ability to portray light and shadow, as well as the physical relationship between figures–humans, animals and objects alike–and the landscape around them. Michelangelo Buonarroti (1475-1564) drew on the human body for inspiration and created works on a vast scale. He was the dominant sculptor of the High Renaissance, producing pieces such as the Pietà in St. Peter’s Cathedral (1499) and the David in his native Florence (1501-04). Raphael Sanzio, the youngest of the three great High Renaissance masters, learned from both da Vinci and Michelangelo. His paintings–most notably “The School of Athens” (1508-11), painted in the Vatican at the same time that Michelangelo was working on the Sistine Chapel–skillfully expressed the classical ideals of beauty, serenity and harmony. Among the other great Italian artists working during this period were Bramante, Giorgione, Titian and Correggio. In addition to sacred images, many of these works portrayed domestic themes such as marriage, birth and the everyday life of the family. The renaissance literary revolution started in Italy in the 14 BCE and was a period of great success for the literary field. The works in this period focused on self-actualization and expression of the self. These works are characterized by the humanistic philosophy and classical antiquity. Platonic ideas were revived and aided in the propagation of Christianity. The earliest Renaissance literature appeared in Italy in the 14th century; Petrarch, Machiavelli and Ariosto are notable examples of Italian Renaissance writers. From Italy, the influence of the Renaissance spread at different times to other countries and continued to spread around Europe through the 17th century. 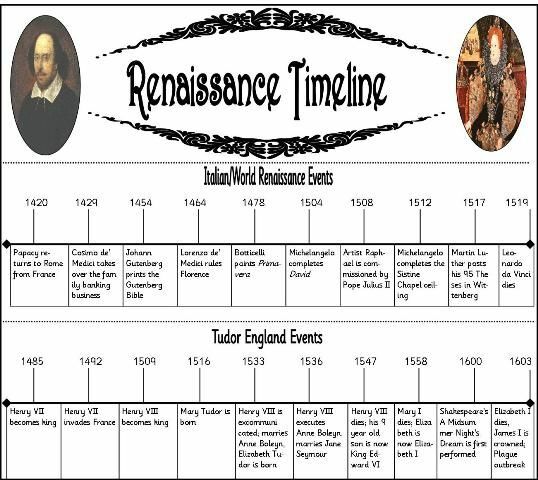 The English Renaissance and the Renaissance in Scotland date from the late 15th century to the early 17th century. In Northern Europe the scholarly writings of Erasmus, the plays of Shakespeare, the poems of Edmund Spencer and the writings of Sir Philip Sidney may be considered Renaissance in character. The single greatest invention of the renaissance era was the invention of the printing press, by Johannes Gutenberg in 1440. This was a step ahead of the rudimentary press used earlier. It allowed for convenient reading, transportation and replication of materials that could spread knowledge of literature very easily. As it allowed for relatively cheap means of printing and greater efficiency, it was a great revolution in the literary field. There were many epics and great works of literature written during this period. Dante wrote his ‘Divine Comedy’ and William Shakespeare composed his 37 plays. 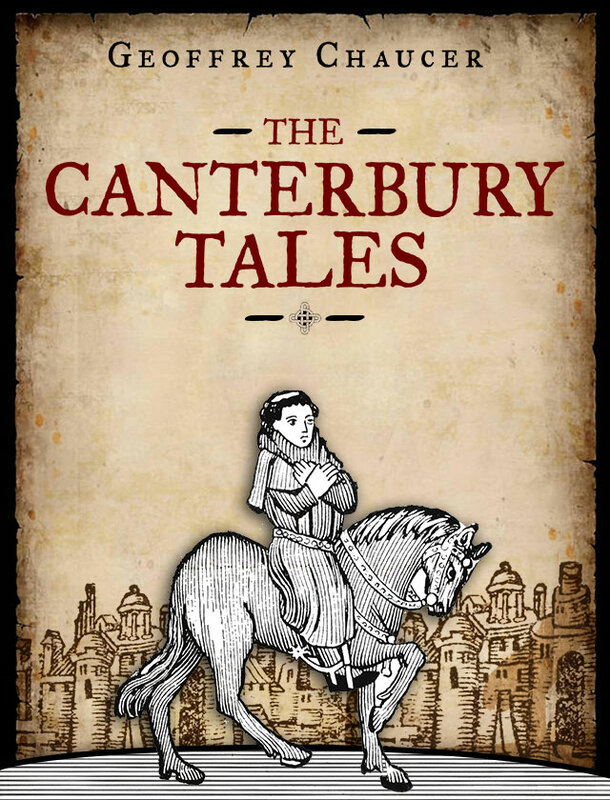 William Caxton publishes Geoffrey Chaucer’s Canterbury Tales, the first important book in the English language. The dominant forms of English literature during the Renaissance were the poem and the drama. Among the many varieties of poetry, one might have found in sixteenth century England were the lyric, the elegy, the tragedy, and the pastoral. Near the close of the English Renaissance, John Milton composed his epic Paradise Lost, widely considered the grandest poem in the language. Conventions played a large part in how particular poetic styles were manifested. Expectations about style, subject matter, tone, and even plot details were well-established for each poetic genre. Even the specific occasion demanded a particular form of poetry, and these tried and true conventions were tacitly understood by all. Not infrequently, poetry of the era was intended to be accompanied by music. In any case, the general consensus among critics is that the chief aim of English Renaissance verse was to encapsulate beauty and truth in words. English poetry of the period was ostentatious, repetitious, and often betrayed a subtle wit. One attribute that tended to set English letters apart from the Continent was the willingness to intermix different genres into a sort of hodgepodge, experimental affair. This pastiche style is exemplified in Edmund Spenser’s Faerie Queen, a long poem which mingled elements of romance, tragedy, epic and pastoral into an entertaining and still cohesive whole. The dark ages is characterised by the decline in the economy, culture and intellectual progress after the decline of the Roman Empire. The renaissance period marked the start of modern science. The initial phase consisted of the revival of the early Greek and roman knowledge after the dark ages. The invention of the movable printing press by Johannes Gutenberg enabled common people to access printed materials. This played a huge role in the development and spread of new ideas and theories. Science and art was also very closely related and artists like Leonardo da Vinci were thorough in anatomy as it enabled them to depict the human body better in their paintings and sculptures. Similarly all great names of this period were good at multiple fields like art, philosophy, physics, astronomy etc so much so that the term “renaissance man” itself refers to a person having knowledge on multiple subjects and fields of study. Leonardo Da Vinci can be considered the archetype of the Renaissance man. Nicolaus Copernicus, Galileo Galilee, Johannes Kepler, Isaac Newton are some of the prominent figures who contributed much to science during the renaissance period. Nicolaus Copernicus (1473-1543) proposed the heliocentric model of the solar system – placing the sun at the centre of the solar system. 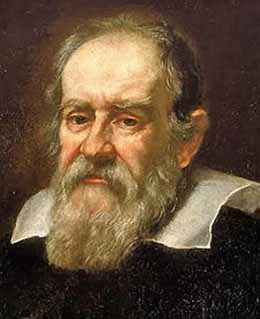 Galileo Galilee was another renaissance man, being an astronomer, engineer, physicist, philosopher, and mathematician. Kepler proposed the Kepler’s laws of planetary motion. 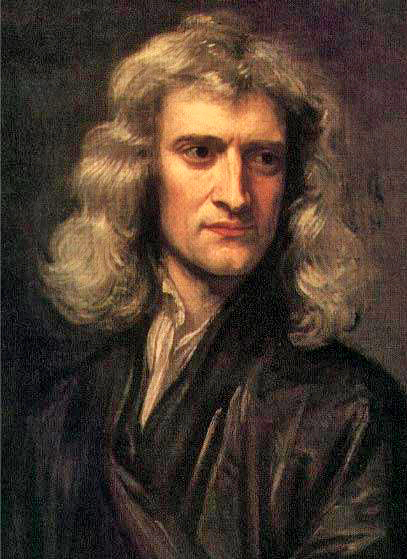 Isaac Newton is mostly regarded as the most influential scientist of all times. His contributions are so diverse ranging from topics like gravitation, motion and optics. Many other important inventions and discoveries were conducted during this period paving way to the modern science and also helping us lead a more comfortable modern life. Lenses, knitting machines, pocket watch, compound microscope, refracting telescopes, pressure cooker, etc are just few of the landmark inventions of the time. Thus the renaissance helped develop science to its present form and function, fuelling the scientific revolution, fueled by the ‘polymaths’ or the people well versed in many fields like Leonardo, Galileo, Newton etc. The Renaissance was a period in European history, from the 14th to the 17th century, regarded as the cultural bridge between the middle Ages and modern history. Music was an essential part of civic, religious, and courtly life in the renaissance. The rich interchange of ideas in Europe, as well as in political, economic, and religious events in the period 1400- 1600 led to major changes in styles of composing, methods of disseminating music, new musical genres, and the development of musical instruments. The most important music of the early renaissance was composed by the church – polyphonic masses and motets in Latin for important churches and court chapels. The early fifteenth century was dominated initially by English and then northern European composers. The burgundian court was especially influential, and it attracted composers and musicians from all over Europe. The most important of these was Guillaume Du Fay (1397-1474), whose varied musical offerings included motets and masses for church and chapel services, many of whose large musical structures were based on existing Gregorian chant. By about 1500, European art music was dominated by Franco-Flemish composers, the most prominent of whom was Josquin Des Prez (1450-1521). Like many leading composers of his era, Josquin traveled widely throughout Europe, working for patrons in Aix-en-Provence, Paris, Milan, Rome, Ferrara, and Conde-sur-L’Escaunt. On the other hand, polyphony or multivoiced music with its horizontal contrapuntal style continued to develop in complexity. At the same time, harmony based on a vertical arrangement of intervals, including thirds and sixths, was explored for its full textures and suitability for accompanying a vocal line. The invention of the Gutenberg press made distribution of music and musical theory possible on a wide scale. Demand for music as entertainment and as an activity for educated amateurs increased with the emergence of a bourgeois class. Dissemination of chansons, motets, and masses throughout Europe coincided with the unification of polyphonic practice into the fluid style which culminated in the second half of the sixteenth century in the work of composers such as Palestrina, Lassus, Victoria and William Byrd. 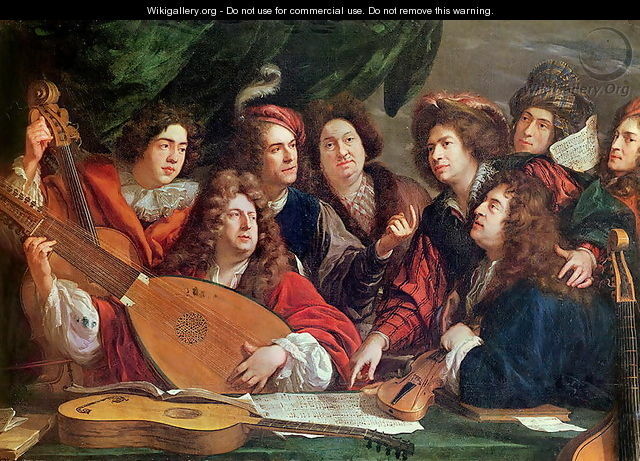 With the beginning of the sixteenth century, European music saw a number of momentous changes. In 1501, a Venetian printer named Ottaviano Petrucci published the first significant collection of polyphonic music. His success however led eventually to France, Germany, England, and elsewhere. Renaissance architecture is the architecture of the period between the early 14th and early 17th centuries in different regions of Europe, demonstrating a conscious revival and development of certain elements of ancient Greek and Roman thought and material culture. Renaissance architecture style reflected the rebirth of Classical culture that originated in Florence in the early 15th century and spread throughout Europe, replacing the medieval Gothic style. There was a revival of ancient Roman forms, including the column and round arch, the tunnel vault, and the dome. The basic design element was the order. Knowledge of Classical architecture came from the ruins of ancient buildings and the writings of Vitruvius. As in the Classical period, proportion was the most important factor of beauty. Renaissance architects found a harmony between human proportions and buildings. This concern for proportion resulted in clear, easily comprehended space and mass, which distinguishes the Renaissance style from the more complex Gothic. Filippo Brunelleschi is considered the first Renaissance architect. Leon Battista Alberti’s Ten Books on Architecture, inspired by Vitruvius, became a bible of Renaissance architecture. From Florence the early Renaissance style spread through Italy. Donato Bramante’s move to Rome ushered in the High Renaissance (c. 1500–20). Mannerism, the style of the Late Renaissance (1520–1600), was characterized by sophistication, complexity, and novelty rather than the harmony, clarity, and repose of the High Renaissance. The Late Renaissance also saw much architectural theorizing, with Sebastiano Serlio (1475–1554), Giacomo da Vignola (1507–73), and Andrea Palladio publishing influential books. The Renaissance revived interest in individual personality, setting the stage for the emergence of psychology in the seventeenth century. Subsequently, psychology became socially important in the eighteenth century, and became a science in the nineteenth century. The history of the word psychology reflected this development. Although its etymological roots are Greek, psyche (“soul”) + logos (“word”) = psychology, it appeared fitfully beginning in the 1600s, and gained general currency only in the nineteenth century. Instead, people wrote about a “science of human nature.” or “mental” or “moral” science. Moreover, psychology was one of several human sciences that appeared in the five centuries after 1400, but it took many years for them to assume their modern forms. For a long time, a student of human nature was equally psychologist, sociologist, anthropologist, economist, and political scientist. The distinctive development of the Renaissance was the reappearance of humanism: placing importance on individual human beings and their lives in this world as opposed to medieval concern with feudal social status and religious concern with their future lives in heaven or hell. As psychology is the science of individual mind and behavior, it owes a debt to humanism. In the wake of scientific revolution, social thinkers of the eighteenth-century Enlightenment—the philosophies—began to rethink morals and government along scientific lines. Especially in France, where the most radical ideas abounded, they rejected tradition and religion. The key question was that of moral authority: Why should I do what society tells me to do? In the past, tradition and religion were the sources of moral authority. However, their claims were predicted on the assumption that goodness was a primary, objective property of actions and events. When goodness became thought of as a secondary property, the authority of tradition and religion became suspect. The philosophies turned to science as a superior fount of moral authority. Descartes and his successors subjected every common belief about the mind and the world to conscious, rational scrutiny, and the philosophies did the same for every received belief about morality and society. It was believed in Thomas theory that with acting on senses it will abstract the process of the mind then rationalizes it to perform actions suiting the greater good. There was also beliefs in the influence of the supernatural and astrology, but such beliefs were not uncommon. Like most classical scholars he divided mental illness into melancholia, mania, and depression. He believed that pleasure , sexuality, and seeking pleasure were distinct aspects of the human personality. The birthplace of the Renaissance was Italy. It began as a cultural movement that spawned the beginning of a philosophy called humanism and quickly spread throughout the rest of Europe, influencing art, literature, architecture and politics throughout the continent. It was fuelled by the Fall of Constantinople and the Printing Revolution. Petrarch is considered the Father of the Renaissance. Many important historians and literary experts at the time believed that the Renaissance was the rebirth of Roman and Greek heritage. Music began to flourish in popularity, especially during the 15th century. The 15th century Burgundian School played a major role in the spread of music and used it as a tool of expression. This also led to the development of Italy being a European center for musical innovation and experimentation in later centuries.Women were discouraged from playing wind instruments because they were told it made their faces look unattractive. Instead, they were encouraged to play string. 5.Which of these is not a Renaissance artist, architect or writer? 6.Martin Luther of the Holy Roman Empire posted the _____, starting the ________. 8.Which of the following best describes the principles of humanism? 9.Which of the following is considered the greatest sculptor of the Renaissance? 10.In which of the following fields did Leonardo da Vinci not establish himself as a master?